For when you're keeping it casual or you're just scared to go all out. (SPOT.ph) You know how romance movies usually go: Boy meets girl, they fall in love, they overcome some hardships, and they're together forever. In the real world, however, you know it's hardly ever that simple. Facebook knew what it was talking about when it listed "It's Complicated" as an option for a relationship status. Whether you're just keeping it casual or you're simply too scared to define your quasi-relationship, we found 10 romance movies that perfectly capture this confusing arrangement. Nothing defines "let's keep it casual" more than this rom-com starring Justin Timberlake and Mila Kunis. They play Dylan and Jamie, respectively: two friends who immediately click upon meeting, but decide to forego the usual romantic attachments in favor of friendship with the occasional benefits. Of course, things don't always stay that simple—no matter how many times you convince yourselves it will this time—so consider this film food for thought. After the long-time relationship of Celeste (Rashida Jones) and Jesse (Andy Samberg) falls apart, the two promise to stay friends despite going through a messy divorce. As they both navigate the newly single life and uncomfortable friendship, they both realize they may still harbor feelings for each other. If you and your ex have ever struggled with moving on from each other, this painfully realistic film is right up your alley. It's hard to let go of someone you've grown attached to, no matter how undefined your relationship may be. Take this 2010 drama for instance. Sid Lucero plays Jun, a former seminarian-slash-communist who runs a hotel in Baguio City; Cogie Domingo is Errol, a law student who stays in the hotel once a year. Their enduring affair is drawn out for over a decade; although Jun meets someone new every now and then, he still finds himself constantly anticipating his yearly trysts with Errol. Watch it when...you expected too much of your "friend"
Have you ever thought you had something special with someone, only to hear the dreaded words, "We're just friends...right?" Welcome to Tom's (Joseph Gordon-Levitt) world. This sleeper hit from 2009 documents the timeline of events that led to Tom and Summer's (Zoey Deschanel) inevitable breakup. Admit it: That "Expectations vs. Reality" scene feels all too real. You can sum up this film's premise with one line from its trailer: "May dalawang klase ng tao sa mundo...ang nagmamasid at ang minamasdan." 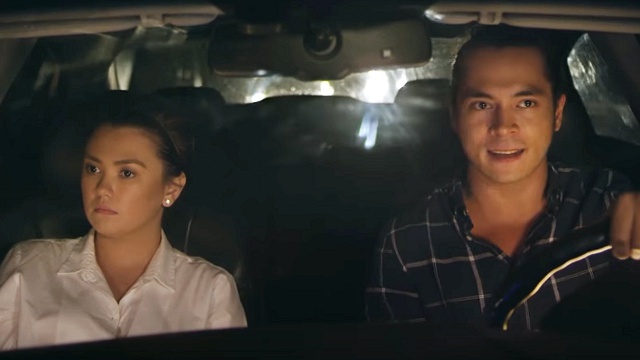 This 2015 Filipino drama zeroes in on the tangled affairs among its characters; Paul (Joross Gamboa) who is hopelessly in love with Red (Prince Stefan), who in turn, is dating Paul's childhood friend, Ivan (CJ Reyes). Then there's Tang (Ae Pattawan), whose heart-wrenching presence only causes more trouble. Watch it when...you both constantly have to tell people you're "just friends"
After a string of failed relationships, Wallace (Daniel Radcliffe) finds himself instantly drawn to Chantry (Zoe Kazan). There's just one hitch: She's already in a long-term relationship with someone else. Its story is nothing new, of course, but it's the remarkable chemistry between Wallace and Chantry that will speak to folks who, ahem, may or may not have something special with their friends. They just can't admit it...yet. The swoon-worthy romance of an American student named Jacob (Anton Yelchin) and a British exchange student named Anna (Felicity Jones) comes to an abrupt end when the latter violates her student visa. Soon, the long distance begins to affect their relationship until they eventually grow apart. Years later, their paths cross again; they're both seeing other people, but are unable to let go of their past. If their situation sounds anything like your love life, we advise you to prepare a box of tissues. Some people call it MU. Others say it's just a fling. Many would rather just avoid the topic altogether. ("If we don't define it, there's nothing to define!") Sam (Nicco Manalo) and Isa (Emmanuelle Vera) are in a similar rut—except that they also have to deal with an even bigger issue that's forcing them apart. The film only spans a few days, but it's enough to speak volumes. This 2014 comedy by Sigrid Andrea Bernardo stars Shamaine Buencamino as the titular character, a 60-year-old woman trying to navigate dating and the struggles of being single. Sometimes, she's thrilled with the freedom of singlehood; other times, she's crippled by the loneliness. It's a complex comedy that will stay with audiences, no matter the confusing relationship status. Real-life couple Marion Cotillard and Guillaume Canet star in this offbeat romance about two childhood friends caught in a back-and-forth game of dares that spans many years. As they eventually fall for each other, they use their little game to distract themselves from their emotions...that is, until they can't anymore.